Rafts of aligned, high aspect ratio TiO2 nanotubes were fabricated by an electrochemical anodization method and their axial electrical conductivities were determined over the temperature range 225–400 °C. Length, outer diameter, and wall thickness of the nanotubes were approximately 60–80 μm, 160 nm, and 30 nm, respectively. 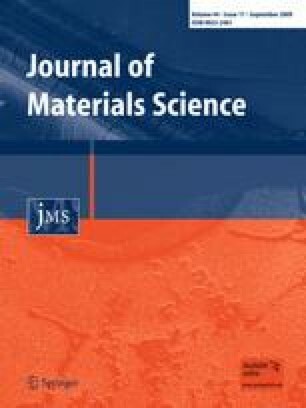 Transmission electron microscopy studies confirmed that the TiO2 nanotubes were initially amorphous, and became polycrystalline anatase after heat treatment at temperatures as low as 250 °C in air. The activation energy for conductivity over the temperature range 250–350 °C was found to be 0.87 eV. The conductivity values are comparable to those of nanocrystalline and nanoporous anatase thin films reported in literature. The authors gratefully acknowledge Craig Grimes and his group for helpful discussions and helping us to replicate their TiO2 nanotube synthesis methods, Taeseok Kim for technical assistance and Changhyun Ko for indexing the diffraction pattern. The research of M. J. A. was supported in part by the U.S. Department of Energy grant DE-FG02-06ER46335. AK and SR acknowledge GCEP for financial support. This work was performed in part at the Center for Nanoscale Systems at Harvard University member of the National Nanotechnology Infrastructure Network (NNIN), which is supported by the National Science Foundation under NSF award no. ECS-0335765.